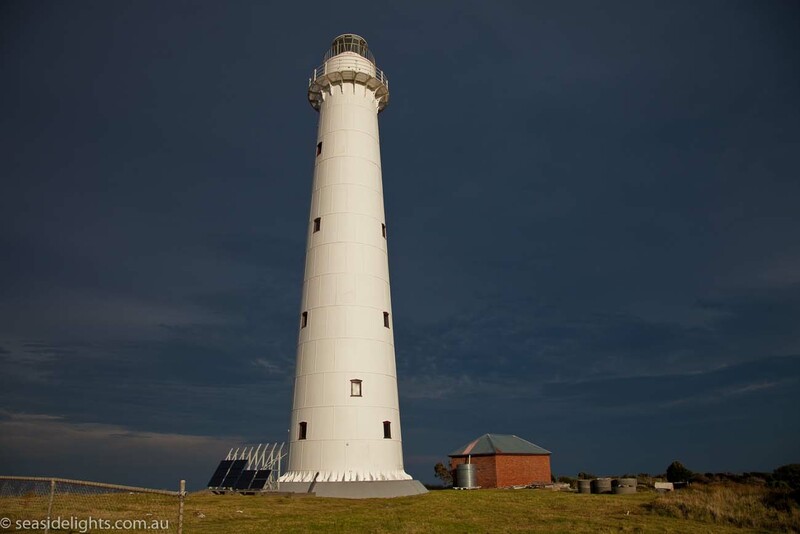 Tasman Island Lighthouse | Lighthouses of Australia Inc.
Tasman Island lighthouse in south eastern Tasmania is the highest operating lighthouse in Australia and marks the final turning point for yachts in the Sydney-Hobart yacht race. The island is separated from nearby Cape Pillar by the narrow Tasman Passage, which is less than 500 metres wide. 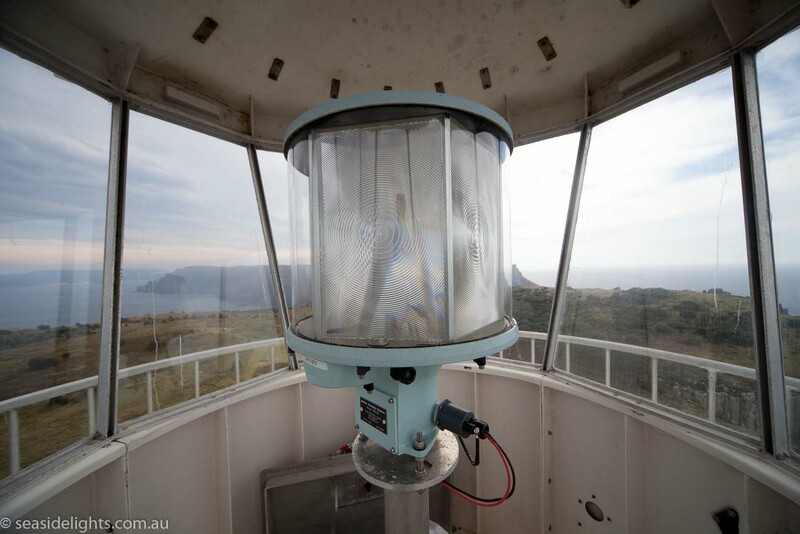 Tasman Island lighthouse was the last of the manned lights to be built in Tasmania. 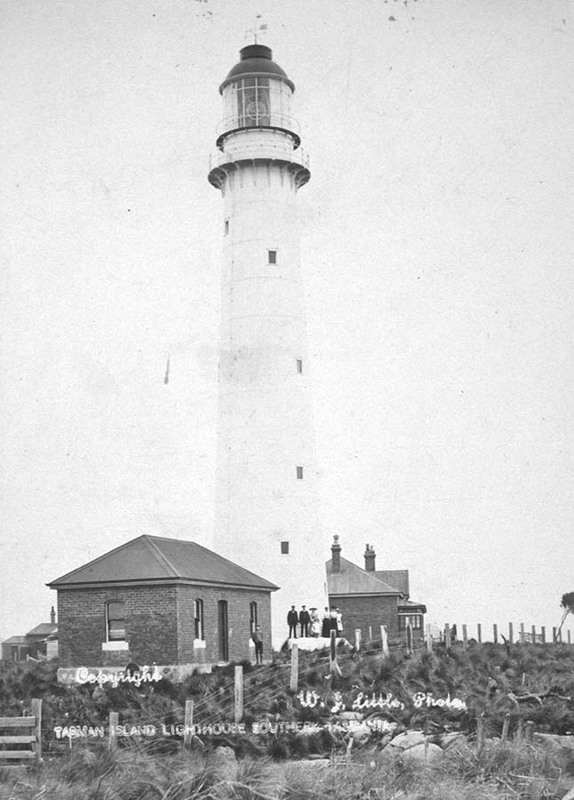 A meeting of the Consolidated Marine Board in August 1885 discussed the possibility of a lighthouse in the vicinity of Cape Pillar. 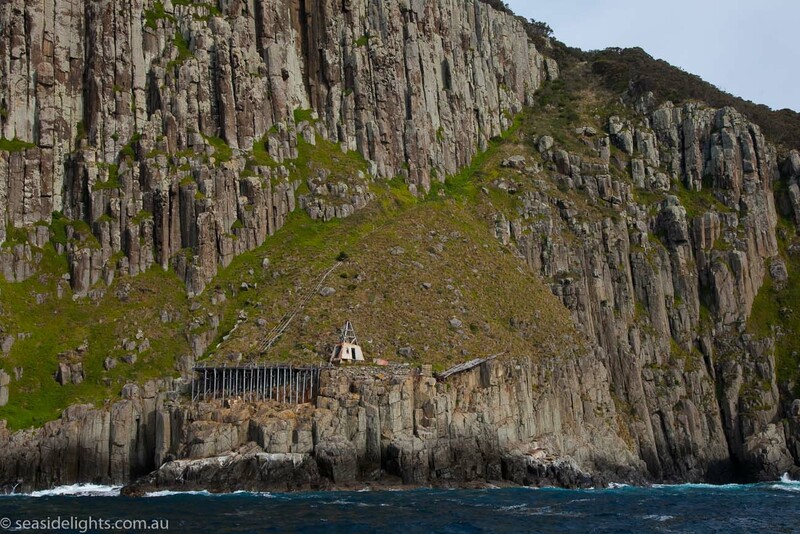 After discounting the Cape itself and nearby Hippolyte Rocks, a site inspection was made to Tasman Island. Despite a recommendation in 1886 that construction should proceed, the proposal lapsed until 1903 when approval was, at last, given. Plans and estimates were drawn up by Marine Board architects, Huckson & Hutchison, and tenders called in July 1904. Contractors travelled on board the SS Nubeena to inspect the site. However, they “were forcibly impressed by the natural difficulties to be overcome in carrying out the contract” when some of them were unable to land in the heavy swell. Hobart builders, Henricksen & Knutsen, submitted the lowest quote of £10,497/10/-, signing a contract on 9 August 1904 before commencing work in October that year. However, before construction of the lighthouse could begin, a landing and haulage had to be built which required blasting in some places. A steam crane with a 60 foot radius was also installed, first used in the construction of Hobart’s GPO. A prefabricated cast-iron tower and 1st Order lens, manufactured by Chance Brothers of Birmingham, was shipped out from England. The heavy cast-iron plates, each weighing up to 13 cwt, took up to eight hours to reach the construction site. They were then bolted together and positioned on a concrete base. Three keeper’s cottages were built of solid brick, with sheds for wood and coal under the same roof for protection from the wild weather. The total cost of construction was about £22,000, a considerable sum in those days. 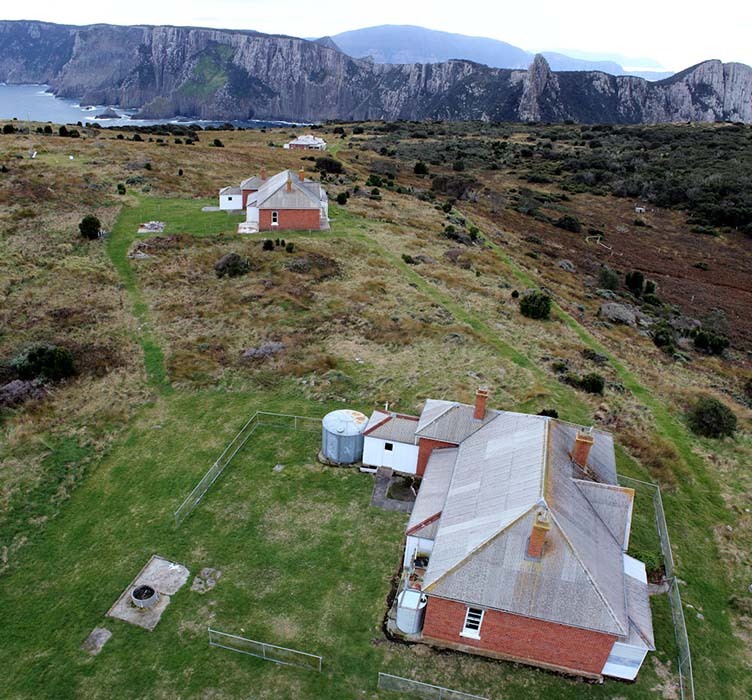 The first superintendent, George Johnston with Assistants J. McGuire and E. Davis arrived on Tasman Island in December 1905 and already had vegetable gardens growing by the time the light was officially opened by the Master Warden, A.E. Risby, on 2nd April 1906. During another storm in 1919, verandahs and fences were blown away, water tanks blown off their stands and out-buildings shifted off their foundations. The winds were so strong that the vibrations in the lantern room destroyed five mantles and two pounds of mercury jumped out of the race and had to be replaced. Much of the island was grazed with flocks of up to 500 sheep, cattle, pigs and goats. However, stock regularly disappeared down the various sink-holes and clefts on the island, never to be seen again. Today, the native vegetation is returning with pockets of small trees and shrubs appearing in more sheltered areas. 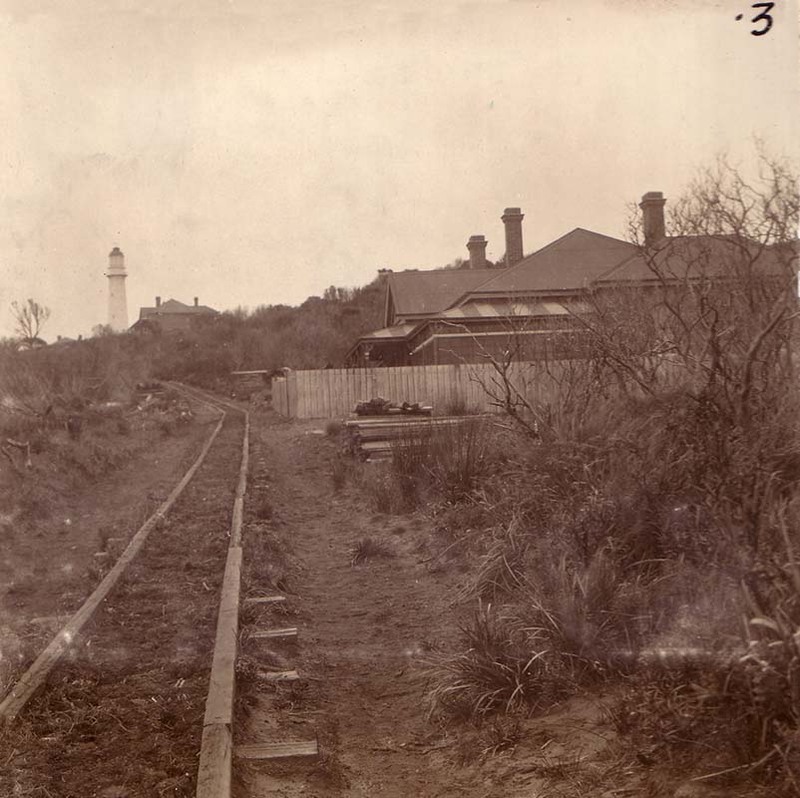 Daily weather observations were recorded in lightstation logbooks by the Head Keeper from 1906 although official observations for the Bureau of Meteorology did not commence till 1922 when daily rainfall readings were taken. An automatic weather station (AWS) forwarded observations direct to the Bureau from 1991. Access to such a remote lightstation was difficult with seas frequently too rough for supply ships to approach the island. Landings were originally made on the north-west side of the island where a track known as the Zigzag was built with goods hoisted ashore by hand-crane. Then a landing platform was constructed on the more sheltered north-east corner of the island with a crane operated by a steam-driven donkey engine. From there, twin trolleys were hauled, one up one down, negotiating the 1:1 slope with the aid of a Jelbart motor or a horse operating a whim. Today, access to the island is much easier by helicopter. 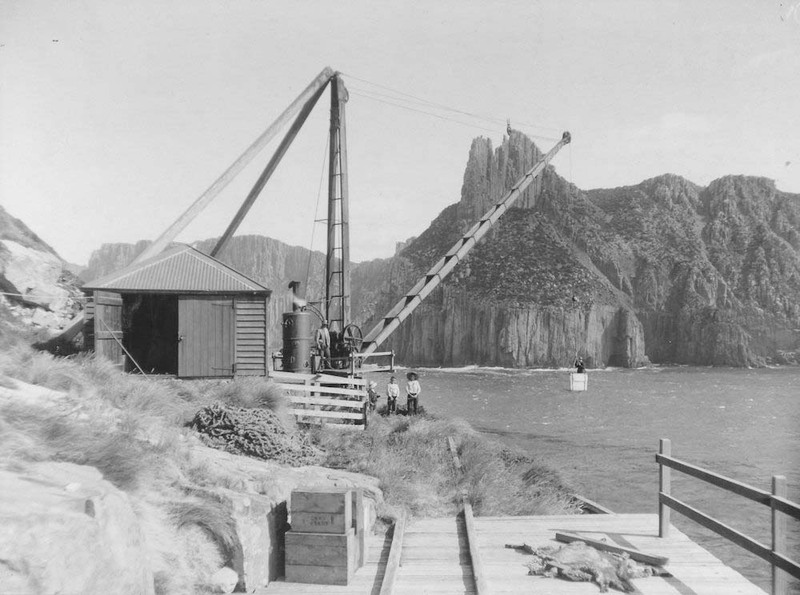 Commander CRW Brewis, on a visit to Tasman Island in 1911, reported that although the lightstation was “modern and in good condition” the “steam crane was old when erected and now admittedly dangerous”. However, it was not until 1927 that work started on erecting a replacement. Disaster struck when it unexpectedly collapsed, throwing rigger William Groombridge into the water. His body was never recovered. Orlando Patterson was luckier – he survived, dangling upside-down with his foot caught in some wire. However, bad weather prevented a doctor landing for several days when Patterson was able to be evacuated to hospital on board the steamer Cartela. This accident precipitated the installation of a flying fox system which came into operation in 1929. The original steam crane lay on the bank adjacent to the landing for nearly 90 years before being washed into the sea in a storm in June 2016. For the first 20 years pigeons provided a link with the Tasmanian mainland. However, the birds were so well fed that they were often reluctant to leave the island! 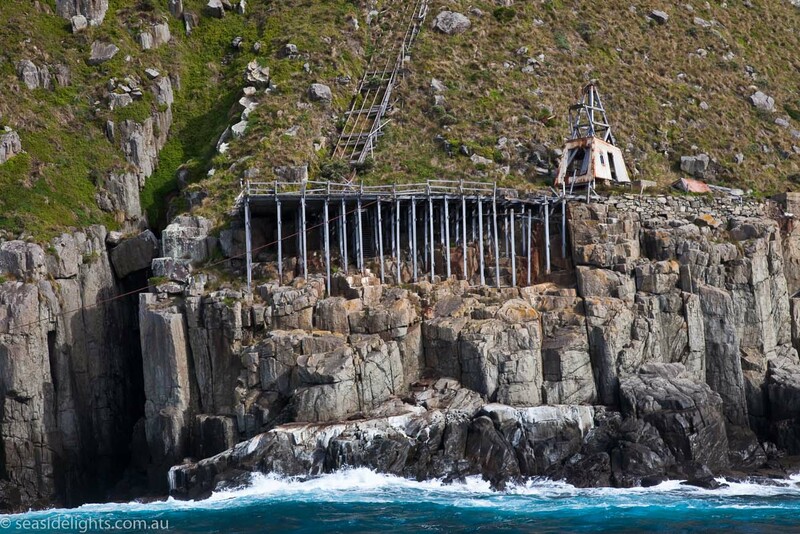 Then in the 1930s, wireless communications were established between lightstations at Cape Bruny and Maatsuyker Island. Later, the introduction of a radio telephone further reduced the sense of isolation. Because of the isolation, most women left the island to give birth. However, in 1920 Nurse Cleary attended the birth on the island of a daughter, Eileen, to Head Keeper Leslie B. Johnston and his wife, Stella. During the war years the job of lightkeeping was considered a reserved occupation and keepers were not permitted to enlist. Naval personnel were stationed on the island, living in the Relief Keepers quarters. Their leisure hours were spent in the garden which soon had a colourful array of flowers. ‘Keepers and their families on off-shore stations were always particularly susceptible to colds and influenza since they were so isolated that they had little opportunity of acquiring immunity. 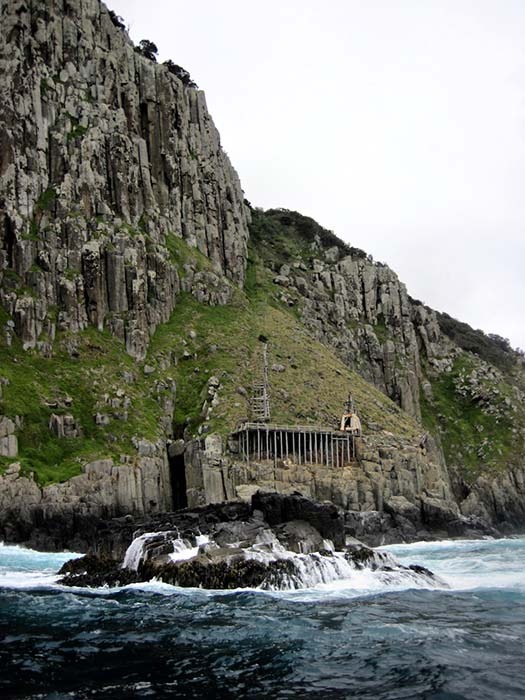 Unlike many other Tasmanian lightstations, there are no European graves on the island. However, a ‘very ancient’ skull was found on the island in 1913 and correspondence indicates that it was forwarded to the Tasmanian Museum. 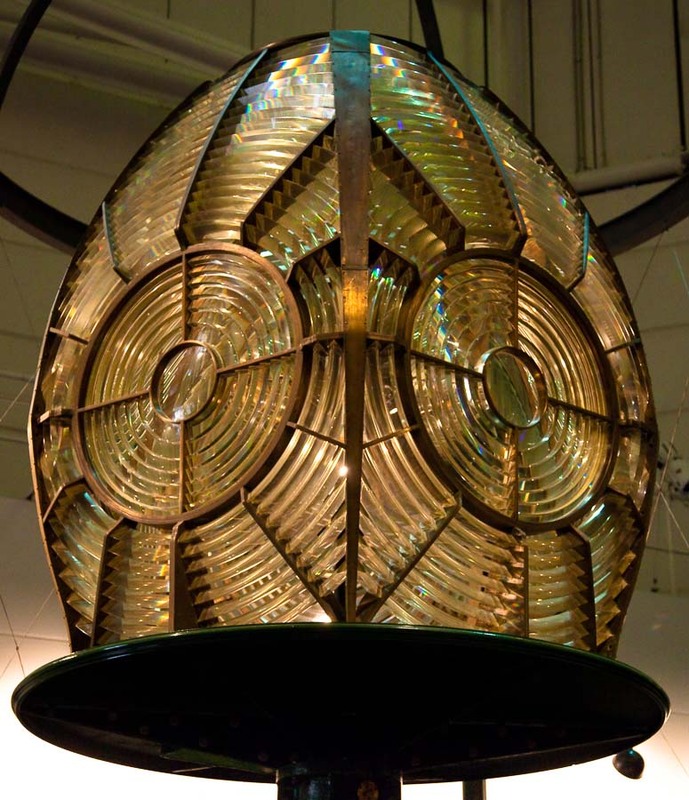 The original lantern room, lens and clockwork mechanism were dismantled and removed when the light was automated in 1976, its replacement a smaller GRP structure. The last keeper left the lightstation on 20 May 1977. Since then the Australian Maritime Safety Authority and its contractor, Australian Maritime Systems Ltd, has maintained and serviced the light which was converted to solar power in 1991. 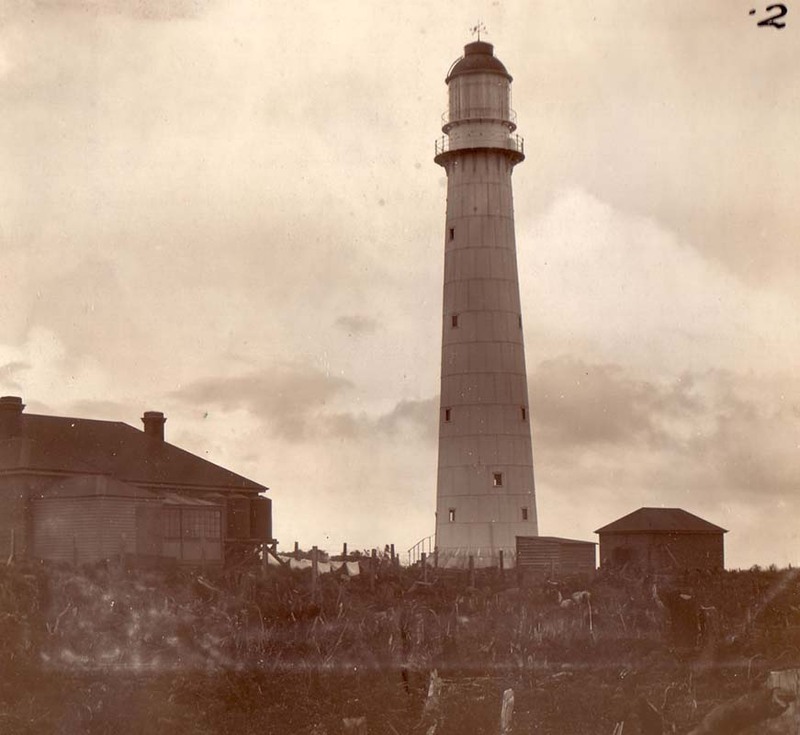 From 1915, management of lighthouses was transferred to the Commonwealth. 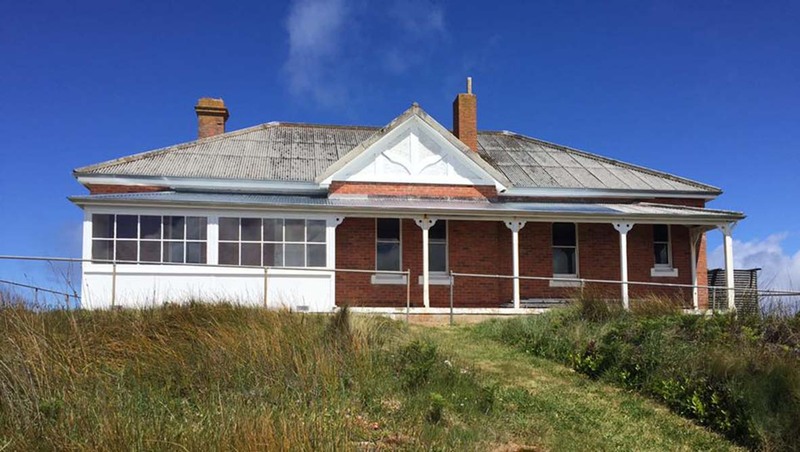 In 1980 the Tasman Island lightstation was added to the Register of the National Estate as well as the Tasmanian Heritage Register and in 2004 the lighthouse was added to the Commonwealth Heritage register. 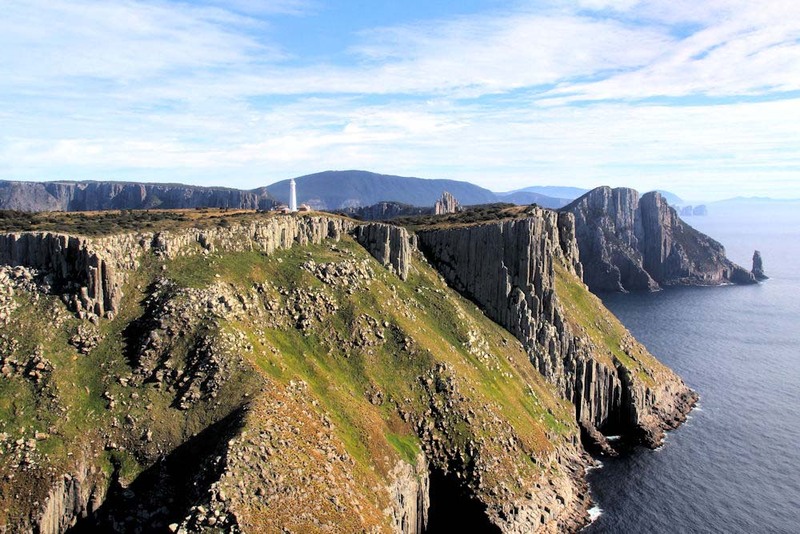 Tasman Island is now part of the Tasman National Park, administered by the Tasmanian Parks & Wildlife Service. The tower is not open to the public. Access by sea is very difficult. The haulage is no longer operational and tracks up the 250 metre cliffs are overgrown. A permit to land by helicopter must be obtained from the Tasmanian Parks & Wildlife Service. The Rotary Club of Tasman Peninsula conduct fund-raising helicopter flights to Tasman Island once a year. 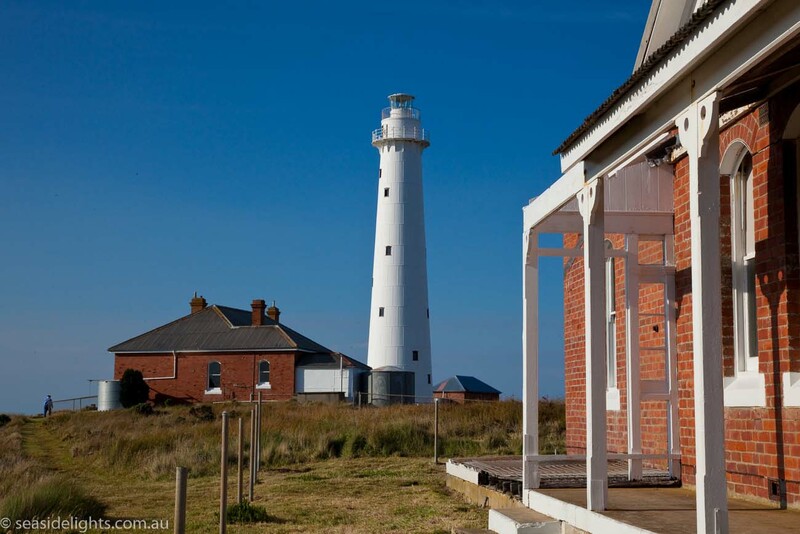 Coinciding with the anniversary of the opening of the lighthouse, members of the public can visit the island and, in co-operation with AMSA, inspect the lighthouse and keepers’ quarters. For further information contact: tasmanislandtrips@bigpond.com. 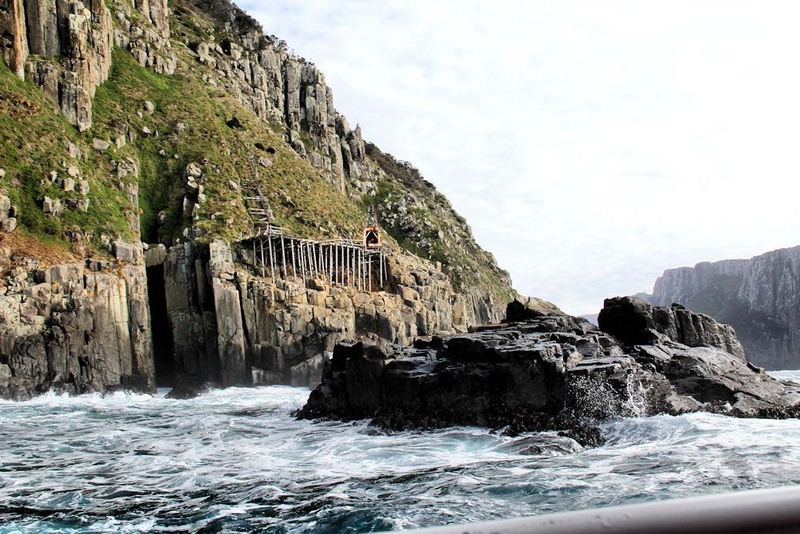 Since 2005 volunteer group Friends of Tasman Island Wildcare Inc (FoTI), has worked on the island in partnership with the Tasmanian Parks & Wildlife Service. 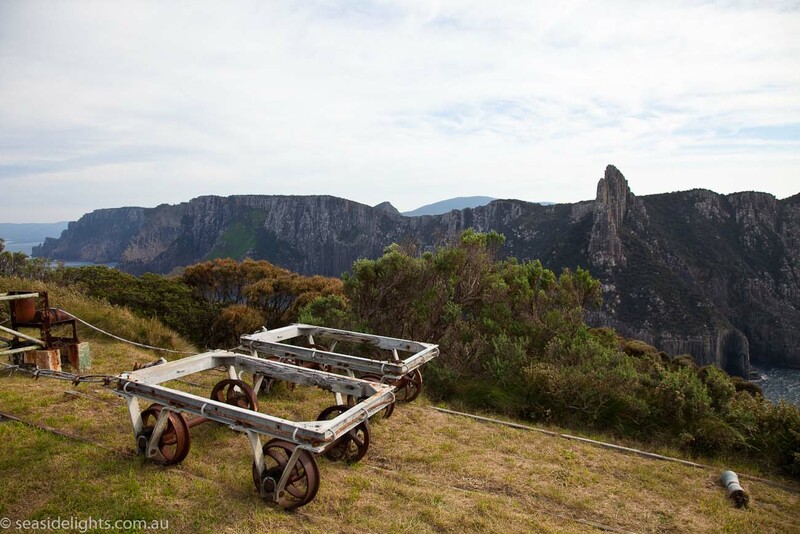 They have a membership of committed volunteers and supporters who focus on the restoration of both the cultural heritage and natural environment of Tasman Island. Funding for these projects was generated by the Lighthouse of Tasmania series of calendars, the last of which was published in 2016. Other sources of income included government, semi-government and industry grants which, these days, are becoming more difficult to access. 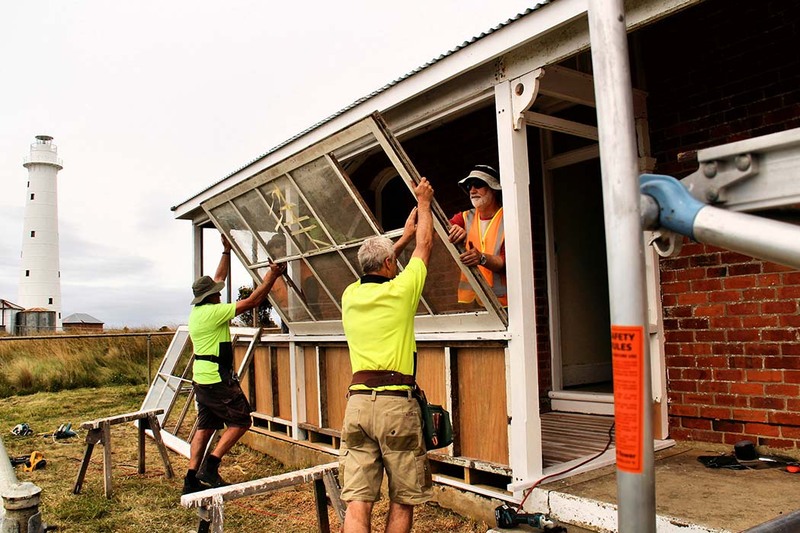 In 2017, FoTI launched a crowd-funding campaign which resulted in the successful restoration of the front verandah and sunroom on Quarters 2. FoTI also sells merchandise through an online shop at wildcaretas.org.au/product-tag/tasman-island/. FoTI welcomes interested people and organisations to contact us with a view to participating in our activities. 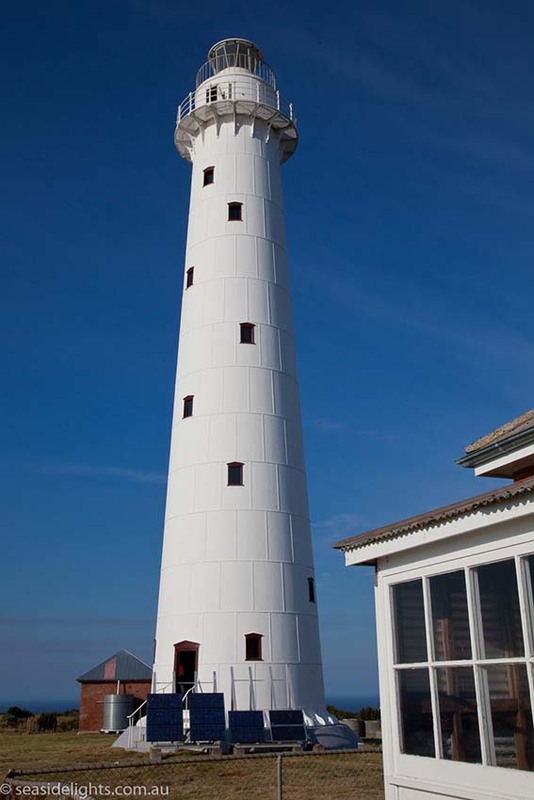 In the years since automation of the lighthouse and removal of lightkeepers, the unoccupied buildings have deteriorated badly. However, with dedicated work by the volunteer group Friends of Tasman Island Wildcare Inc (FoTI), this trend is now being reversed. Timber buildings, such as the relief keeper’s cottage, originally the Clerk of Works office built in 1904, have collapsed over time. 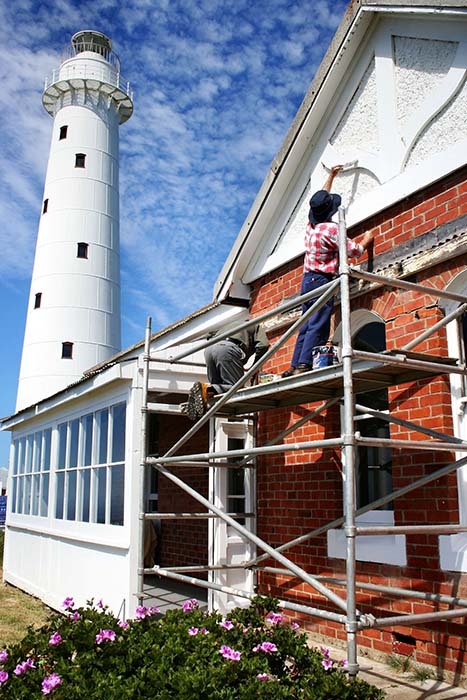 However, the three substantial brick light keepers’ quarters are undergoing restoration by FoTI with Quarters 3 (nearest to the lighthouse) used by volunteers and Park’s staff on visits to the island. The original Chance Brothers 1st Order lens and clockwork mechanism is now on display at the Australian National Maritime Museum at Darling Harbour in Sydney. 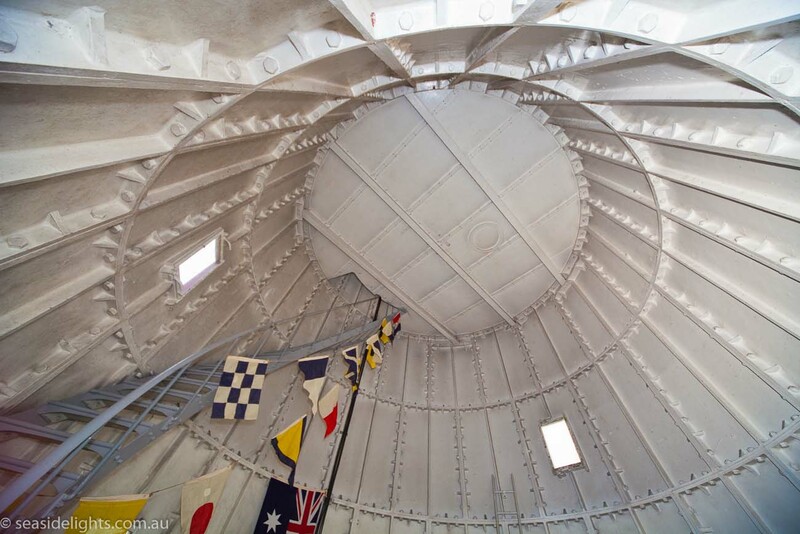 The original lantern room is undergoing restoration by the Friends of Tasman Island.